Covering the latest in technology and home improvement with a focus on interesting gadgets, furniture and home automation. So, why should you buy your own router? Well, if you want to take full advantage of your Internet plan and get the speeds you paid for, the you should probably ditch the modem and router you rent from your Internet Service Provider (ISP) and buy your own. Not only will you be able to achieve faster Internet speeds, buying your own router will allow you to access features that are either not available or are locked down in ISP provided devices like Quality of Service (QoS) features and the ability to install custom router firmware. Heading into 2016, we see Wireless-AC becoming the networking standard of choice for routers. This means faster speeds, longer range along with Quality of Service features and beamforming for routers in 2016. If you'd like to know more about what are some of the features to look out for when buying your new router, check out our guide here. Before we go into the list proper, we'd like to disclose that there are affiliate links to Amazon below. Thank you very much for your previous support to help keep the site going. Now let's get to the 5 best routers you can buy in 2016. The TP-Link Archer C7 AC1750 stands out as a value buy. At less than $80 for a brand new one, it provides excellent performance at an affordable price. Capable of delivering speeds of 1300 Mbps on the 5 GHz band and 450 Mbps on the 2.4 GHz band, the TP-Link Archer C7 is a modem that is well suited to meet the needs of HD streaming and online gaming. It's 3 internal antennas (2.4 GHz) and 3 external antennas (5 GHz) are capable of providing complete coverage for a 4,000 square feet house and even a three-story house. Users have also noted that the Archer C7 is easy to get up and running straight out of the box while still having a lot of options to customize your settings and tweak your network. Compatible with wireless A, B, G, N and AC, this is currently the best-selling router on Amazon with an average rating of 4.2 out of 5 based on 2,440 customer reviews. While this isn't cutting-edge networking technology, this is a solid and reliable device that you can't go too wrong with. Important note: If you have one of the faster Internet plans (above 200 Mbps) and use a lot of devices simultaneously (HD streaming, gaming, torrents etc.) then you might notice that your speeds get capped at around 200 Mbps. This is one of the limitations of a single-core processor. While the Archer C7 is suitable and recommended for most users, if you're a competitive gamer or someone who downloads a lot via torrents, then a dual-core router like the ASUS RT-AC68U, Archer C9 or Netgear R7000 will allow you to take full advantage of the speeds you're paying for (300 Mbps and up). The ASUS RT-AC68U has a combined dual-band data rate of 1900 Mbps (1300 Mbps at 5 GHz and 600 Mbps at 2.4 GHz), about 150 Mbps faster than the Archer C7. It also belongs to the new generation of routers, boasting a dual-core CPU which helps to maintain the router performance even when the network gets busy with 4K video streaming, online gaming, VoIP calls and file downloads. The modem is able to cover a 2300 square feet house and with it's dual core processor, users have commented that they've been able to connect 25 devices without any noticeable drop in performance. The ASUS RT-AC68U has a 4.3 rating on Amazon based on 2400 reviews. The price has come down by about $15 since last year and is now retailing for $159.50, making it a much better buy. Like it's predecessor the Archer C7, the TP-Link Archer C9, is a great value buy. It's simultaneous dual band networks have a total bandwidth of 1.9 Gbps - 2.4 GHz (600 Mbps) and 5 GHz (1300 Mbps). So how does the Archer C9 differ from the Archer C7? Apart from more bandwidth on the 2.4 GHz frequency, the Archer C9 has a 1 GHz dual-core processor instead of a single core, an additional USB 3.0 port as well as beamforming and is 4K compatible. All this for around $20 more (after rebates) than the Archer C7. Customers on Amazon have given it a 4.4 rating out of 5, based on 1,300 customer reviews. An impressive 73% of users have given the Archer C9 a 5 star rating with most highlighting it's fast speeds and wide range, able to cover homes from 2000 sq ft to 5000 sq ft. The Netgear R7000's specs are very similar to those of the Archer C9 and ASUS AC68U - possessing a dual-core processor with up to 1.9 Gbps of bandwidth. Customers have given it a 4.2 rating on Amazon. The dual-core processor has been highlighted, able to support more than 30 devices without any significant drop in performance. Most of the negative reviews have been bugs from 2013 and 2014 which seem to have been ironed out. Rounding up our top 5 routers for 2016 is the ASUS RT-AC66U. In terms of specs, it is very similar to the Archer C7, providing 1.75 Gbps of bandwidth on a single-core processor. Users have noted the good User Interface (UI) and ease of setting up guest networks on this device with up to 3 network keys on the 2.4 GHz network and another 3 network keys on the 5 GHz network. Overall, the RT-AC66U has a rating of 4.1 on Amazon, from 2800 customer reviews. The ASUSRT-AC66U is currently retailing at $124, which is about $30 more than the Archer C7. While there's no arguing that its a good router, unless you need an extra 2 guest networks, we would recommend picking the Archer C7 over this. 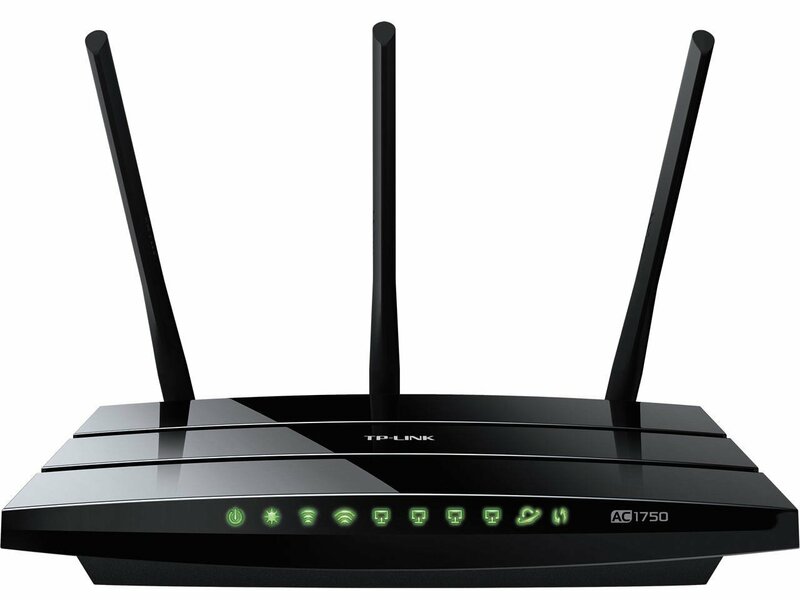 Alternatively, if you're looking for a more powerful router, the ASUS RT-AC68U is a better value buy. Similar to the Archer C7 above, if you have a 300 Mbps and up plan and want to get close to the full speed, you will need to purchase a router with a dual-core processor like the ASUS RT-AC68U, Archer C9 or Netgear R7000 instead. On the off chance that you are in the market for a remote switch, you have to peruse this article before you make your buy. There are various innovations having an effect on everything, and they change decently as often as possible - so the best way to make certain that you are getting both the right remote switch for you, and a decent esteem, is to peruse this remote switch purchaser's guide. Copyright EyeObserver | Designed by VeeThemes.com.